The Annual Human Development conference is a one day student-organized event featuring research, which highlights the latest topics centered on Human Development Psychology in Education. 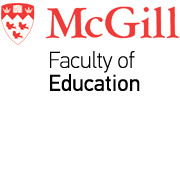 The conference is organized by students enrolled in the Human Development Psychology program in the Department of Educational and Counselling Psychology at McGill University. The Human Development program was designed to understand the developmental trajectories in both typically and atypically developing populations, with an emphasis on learning and inclusive education. Furthermore, the program is centered on investigating assessment and intervention methods throughout various educational settings. ​The conference features the latest issues in Human Development from an educational perspective. The conference highlights topics such as, social-emotional development, cognitive development, attention, mindfulness, self-determination theory, peer relations, parental involvement, reading comprehension, all of which revolved around a developmental theme in Education.